Russian President Vladimir Putin has signed a decree officially rehabilitating the Crimean Tatars and other ethnic minorities on the peninsula, who were deported en masse in 1944 by Joseph Stalin because many of them collaborated with Nazi invaders. 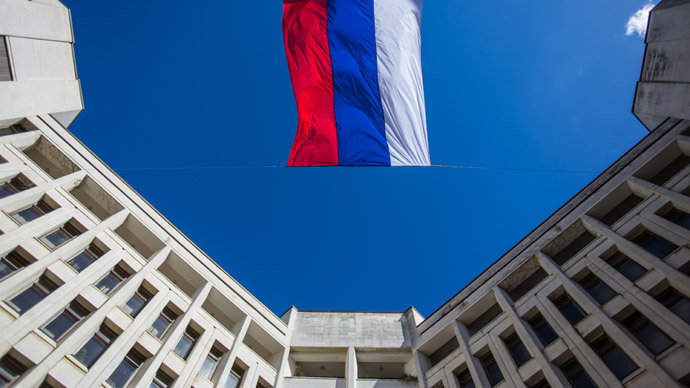 “We must make sure that as part of Crimea’s integration into Russia, Crimean Tatars are rehabilitated and their historic rights restored,” the Russian leader said during an official meeting in Moscow. Tatars in Crimea number about 250,000 – one eighth of the peninsula’s population. Since gradually returning to the peninsula following their banishment, many have been locked in land disputes, and have struggled with a lack of political representation. 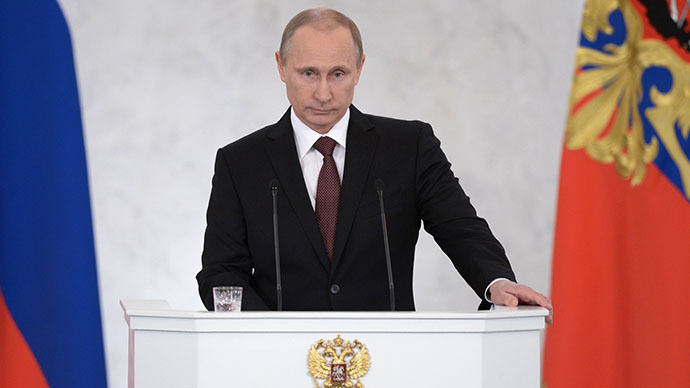 “The same decree outlines the socio-economic development of several territories that have been neglected, and where there has not only been no social progress, but the situation has actually deteriorated,” said Putin. When he first mooted the rehabilitation decree last month, Putin also proposed that Tatar becomes the third official language in the autonomy, alongside Russian and Ukrainian. The decree also rehabilitates four other less numerous minorities – Armenians, Bulgarians, Germans and Greeks – who also suffered from Joseph Stalin’s repressions during and after World War II. After Crimea voted to secede from Ukraine last month, Tatars staged well-attended demonstrations against joining Russia. The executive representative body of Crimean Tatars, the Mejlis, rejected the results of the referendum which it called to boycott, and criticized the new constitution passed by deputies earlier this month. Its leaders have threatened to stage their own independence referendum. Mustafa Dzhemilev, a leader of the Mejlis until last year and a Ukrainian parliament deputy who is still considered one of the public faces of Crimean Tatars, said Russia was “trying to ingratiate itself” with the decree, adding that he did not recognize its authority. Over the weekend, Crimea Governor Sergey Aksyonov accused Dzhemilev of being on the payroll of Western secret service, and said that his “provocations” were hampering the “peaceful integration” of Russians and Tatars. Crimean Tatars – a Turkic people - dominated the population of the peninsula when it was a vassal state of the Ottoman Empire in the middle ages. As more and more ethnic Russians were given land in the temperate and picturesque land, the proportion of Tatars gradually declined. In the last census conducted before war broke out with Germany, one in five Crimeans – just over 200 thousand – put down Tatar as their nationality. 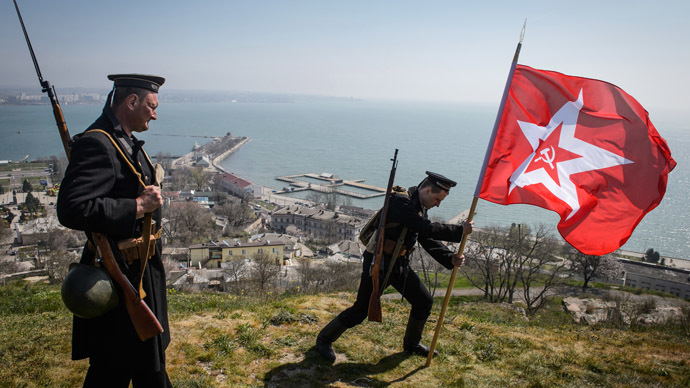 Crimea was taken by Nazi troops early on during World War II after a series of particularly brutal battles, and remained under German control until May 1944. Directives from the NKVD – Stalin’s secret police – dated to earlier that year show that the Tatars were viewed as untrustworthy. More than 20 thousand were accused of deserting from the Red Army in the first months of the war. The Nazis in Crimea also set up a special ethnic Tatar local administration to run parts of the peninsula – a tactic often used with other minorities on Soviet territory. A week after the Soviet Army recaptured the peninsula - on May 18, 1944 - those living in Tatar households were woken up by NKVD agents with prepared deportation lists, and according to eyewitness reports, forced to pack their possessions in less than an hour. Under armed supervision, Tatars of all ages were escorted to cattle trains – used for most mass transport during the Stalin era - and ordered to board them. The trains were headed to the central Asian republic of Uzbekistan more than 3,000km away and other hinterlands. Overcrowded and unsanitary, the coaches became a breeding ground for disease. Those who survived arrived in a barren, scorching landscape. War time food supplies were inadequate, and Tatars were not allowed to go further than 7km away from their assigned settlements. The lower boundaries of Soviet estimates say that at least 15 percent of more than 180 thousand deported Crimean Tatars died in the year following deportation, while many contemporary Tatar historians say the death toll may have been as high as 46 percent. While there undoubtedly were widespread incidents of desertion and collaboration by Tatars, NKVD officers drew up their deportation lists on the basis of ethnicity alone (though Tatar women married to Russian men were spared). Among those deported were thousands of men who served under the Soviet flag, including several war heroes. It was only in 1967 that the Supreme Soviet of the USSR adjudged the deportation of certain individuals “partially unfounded,” and allowed Tatars to return to the peninsula. The Soviet Union also condemned the deportation as “illegal and criminal” in 1989. As Tatars attempted to return to their homeland, they faced significant obstacles – their houses and land had been transferred to new owners. Many were involved either in court cases to try and reclaim their land, or simply occupied new settlements with no regard for the formal owner. According to the new decree, those Tatars with established landholdings will be allowed to privatize them under a simplified procedure.